Deciding what storage solution is best for gaming requires a strong understanding of how to match game genre with desired performance. When it comes to making the right choice on SSD, it can be a confusing process if you don’t know what to look for in advance. The right SSD, however, does so much more than just load high-end games faster, even for gaming pros. From the must-haves of casual gaming all the way up to pro competitions, to looking for cost-friendly upgrades, the new SSD line from Samsung gives you the best of both worlds where price and performance intersect. Since this new line comes with the fastest storage systems available, gamers can count on more storage capacity, better performance and supreme flexibility, regardless of their skill level and budget. The same goes for organizations looking for more agile storage hardware. Whether your business’ focus is on speed, storage capacity or issues such as transfer rates rising from SATA SSD rates of 60 MB/s to 520 MB/s, to NVMe rates as high as 2,500 MB/s, Samsung has an option that fits those needs. 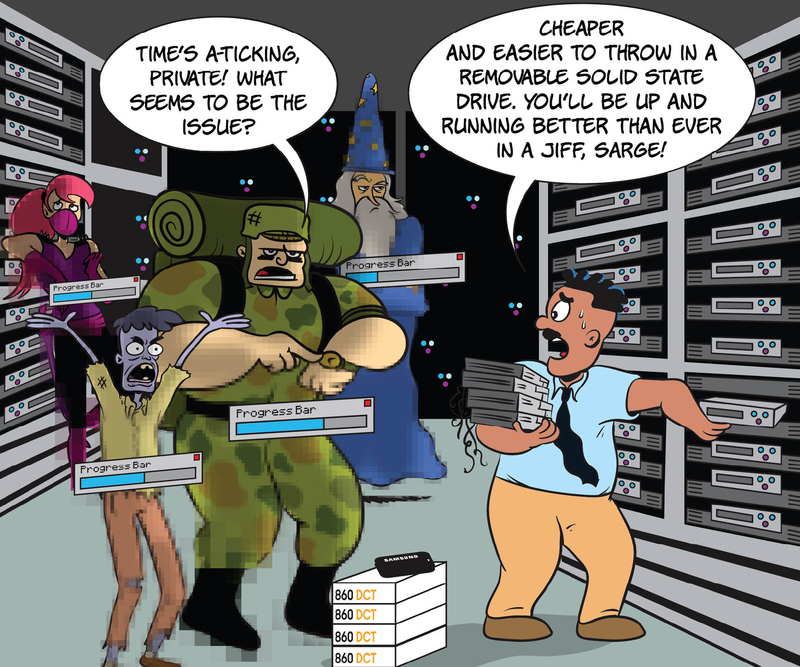 Don’t let lagging storage and uptime slow your company’s performance. Find out more about your company’s SSD needs with this assessment.